As the war in America dragged on Britain felt its small army stretched thin all around the world. King George, of German extraction looked therefore to the small kingdoms of what is now Germany to raise troops to put down the rebellion in the colonies. Huge numbers of German troops were ferried across the Atlantic in all manner of exotic uniforms. They were from many differing States but were broadly known as “Hessians” as a catch-all phrase. 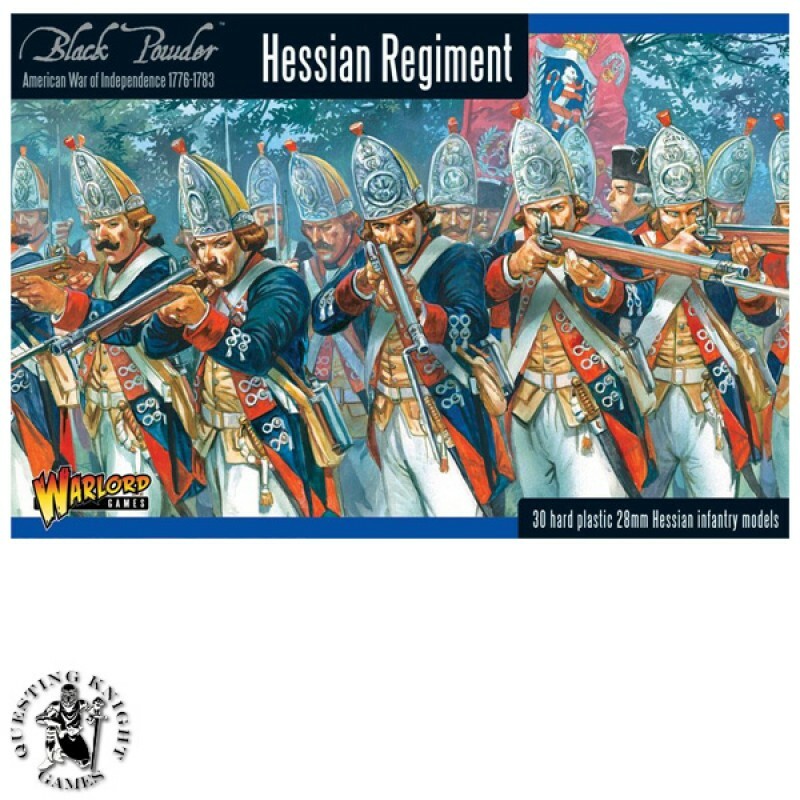 Well drilled and eager to close in battle, the Hessians helped to bulk out the Crown forces, whilst its specialist Light Infantry and Grenadier units were a welcome addition to hard pressed British generals. 24 musketeers, fusiliers or grenadiers including command group of two officers, sergeant, drummer and two ensigns. 4-page background guide including fourteen full-colour flags – download here.